Whatever your rug is Oriental or wool, small or large, a financial investment or simply of sentimental value, we understand how important it will be to you. And that’s why, here at Rug Cleaning Manhattan, we want to assure you that when you leave your special piece with us, it will be in capable and professional hands, every step of the way. We provide a wide variety of maintenance and repair services, all designed to keep your rug in optimum condition. We know from experience how many problems a rug has to contend with – particularly sunlight, moths and inevitable foot traffic. And as specialists in the field, we know that the best way to maintain your rug’s appearance and value is to take regular preventative to ensure it stays looking beautiful. 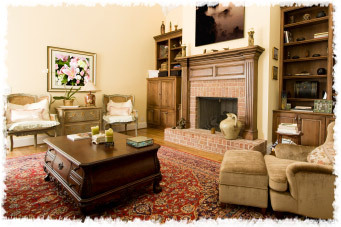 Established in 1998, here at Rug Cleaning Manhattan we have built our reputation on professionalism and expertise. Our philosophy is that small details matter, and that every customer deserves the best service possible and the highest level of personal attention. We know that each rug is unique, which is why we examine every piece individually, before deciding exactly what steps are necessary to restore it to its previous glory. If repair or restoration is needed, our highly-trained staff are experts in a wide range of techniques. They will use all of their skill and craftsmanship to make sure your rug is returned to you in excellent condition. We are experts in matching weaves and dyes, and patching holes, so that the repairs are invisible to the eye. Your satisfaction is our primary concern, and we are certain you will be happy with the level of service you receive from us. However, to give you complete peace of mind, we offer a 100% guarantee on all of our work. If there is any aspect of our work you are dissatisfied with, just tell us and we’ll do the job again. In essence, if you are not happy, then we are not happy. It is our aim to ensure you feel confident in entrusting your rug into our care, by providing you with the best possible service.